When you improve something in your home, you take what is there, and you change it. You tear things out; you might move walls or cabinets.You change the shape, the inherent functionality of something.You change it for the better. That's home remodeling. Remodeling is a well thought out and planned event. As a homeowner you have a vision, you want something new, something that works better, something that feels warmer, friendlier, more livable, or more comfortable. Perhaps you want a cleaner look, straighter lines, less clutter. 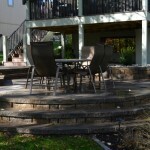 Sometimes you want a home improvement that will garner more space, more lighting, or newer, more attractive amenities. More often than not, you want a new kitchen or a bathroom updated. Maybe you just want your old kitchen cabinets to have a new look. We can professionally refinish and paint them! A good home remodeling project is creating a whole new space, turning an unfinished basement into a place for guests and extended stays and adding a basement bedroom, bathroom, laundry room or kitchen. Turn your basement into a man cave. Remodeling a family room or basement gets the gang together to watch the big games or play pool. Create an exercise room to motivate you to get into shape. No more excuses. Start a remodeling project that takes the indoors- outdoors and add an outdoor living space complete with a patio or deck and an outdoor kitchen to your backyard or under an existing deck. You may or may not have it all worked out in your head. But you know what you want. You know how you want to live. You have to choose someone to execute your renovation project that you can trust. You want to work with someone who will pay attention to the details and will be there to get the job done right. Someone with the right skills and experience to fit all the pieces together perfectly and will do the right thing for the right reason every single time. To be totally honest, the creative process is fun for us. 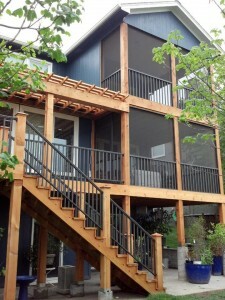 The home remodeling project you want is created with you and for you. Remodeling is about your vision and ideas for a space and us educating you about all your options. We do that to help you make choices that are right for your needs, wants and budget. We can't tell you how many times we were able to make suggestions and recommendations to our clients that saved them money! We think part of our job is to make sure that you get the most from the budget you have. That is absolutely fun for us. The best part about a process like that is having our clients end up with a look, a feel, a room that they are happy with! We can just about guarantee that every time. 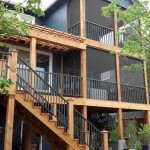 Home remodeling is a project that you have probably planned for some time. With the market showing strength, homeowners are excited about remodeling again. This is a great for our economy and for you. We've been in business since 2003, remodeling entire homes, bathrooms, kitchens, basements and adding outdoor living spaces to homes. With ten years of experience and happy, excited customers behind us, we're confident that we can make your remodeling experience a positive one as well. 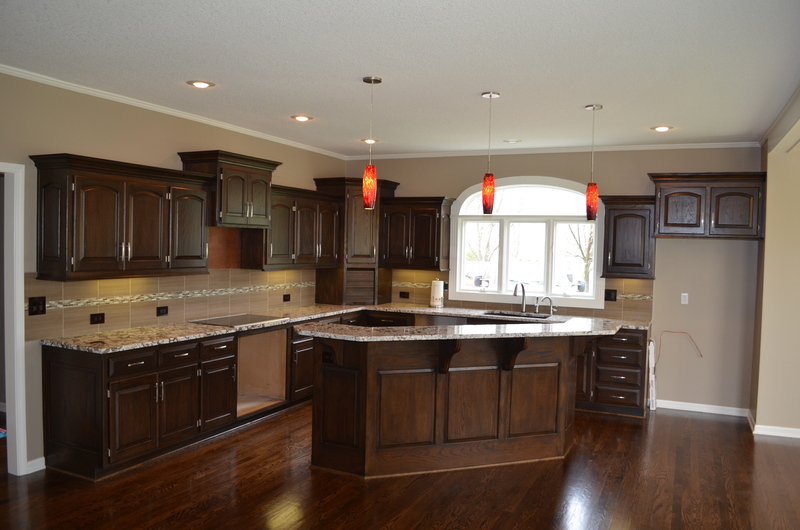 Our clients come back to us over and over for their remodeling projects. That's a sign that we not only did the job right, but we exceeded their expectations. Have your kitchen cabinets refinished, add hardwood floors, a backsplash, more lighting and brand new appliances for a kitchen remodeling makeover. A master bathroom remodel could include new custom vanities, tile shower, radiant floor heating, more lighting and a TV to catch the morning news. Every client and every project is important to us and is executed with precise attention to the details. 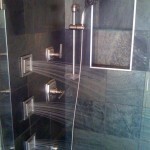 You'll be happy with the way we communicate with you throughout your remodel. You will be thrilled with our design ideas and ecstatic when we make suggestions that will save you money by offering suggestions about refinishing instead of replacing and utilizing existing plumbing instead of moving it. 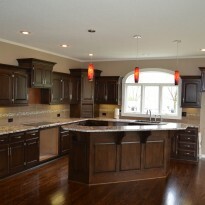 Talk to Chad and his home remodeling specialists at Artisan Construction. They have the experience and the skills to design and complete your remodeling project with an artist’s eye and an attention to detail. Remodeling spaces or rooms in your home isn't something you do every day. When you do, you should choose the best people to get the project done right and within the budget you want to work with. Choose the remodeling experts at Artisan Construction: Artistry and Innovation in everything we do.